Members and friends of the Society enjoyed the annual get together at Leigh Rugby Union Club last night, in particular, the wonderful slide presentation by Martyn Jones. 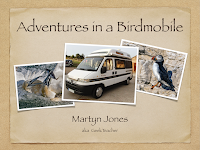 Martyn’s show title was “Adventures in a Birdmobile” he described the idea as a way to get close to birds using the vehicle as both accommodation and a hide, the show incorporated several key birding sites around England and including Dumfries and Galloway in Scotland. Martyn is a first-rate photographer and put together an educational, informative and sometimes amusing evening’s entertainment, well produced and enhanced with birdsong and musical themes. My thanks, to all who were involved in the evening, quiz suppliers, raffle organisers, prize givers and of course the audience, a special thank you to our presenters Fairy Nuff and 'Elf & Safety' (Anne Johnson, Brian Fawcett and Tony Bishop) not forgetting the caterer Amanda’s Pantry for providing delicious hot food. The evening concluded with a monologue from Monica King “Joyce the Librarian” and a singalong of Christmas songs led by Eddie King. On a sad note, Tony has informed us that after Brexit the elves and fairies who reside of course in the E.U. will not be allowed to perform on this side of the water, so next year’s visit is on hold. A Merry Christmas and a prosperous Brexit, thanks to all for your valued support, David. 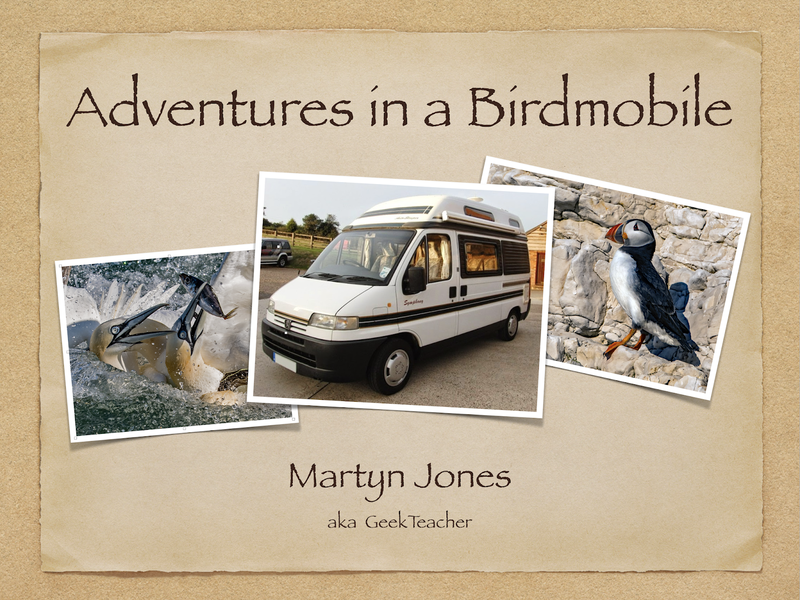 Martyn’s show title was “Adventures in a Bird mobile” he described the idea as a way to get close to birds using the vehicle as both accommodation and a hide, the show incorporated several key birding sites around England and including Dumfries and Galloway in Scotland. My thanks, to all who were involved in the evening, quiz suppliers, raffle organisers, prize givers and of course the audience, a special thank you to our presenters Fairy Nuff and Elf & Safety (Anne Johnson, Brian Fawcett and Tony Bishop) not forgetting the caterer Amanda’s Pantry for providing delicious hot food.